Muxía has a rich heritage. Muxia has a rich natural, historical, architectural and ethnographic heritage, both within the town and municipality. 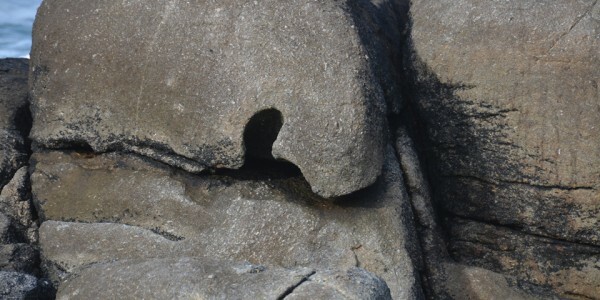 The most famous landscape from Muxía is the punta de A Barca, There you will find landscapes, history, art and legends. 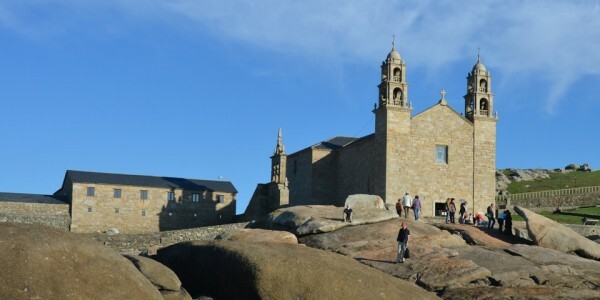 In this extreme mainland is situated the sanctuary of A Virxe da Barca, founded in the middle Ages by the monks of Moraime. The actual temple, the baroque style, dates from 1719 and was built with the financial assistance of the Earls of Maceda. The image of the Virgin is a gothic carving of the fourteenth century. 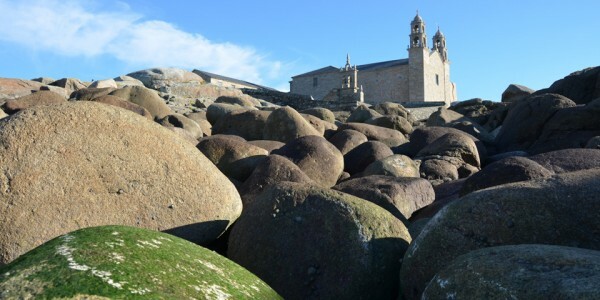 In front of the chapel, next to the sea, you will find the stones of Abalar and the Os Cadrís, that formed part of antique pagan sanctuary, Cristianized later through the legend of the appearance of the Virgin to the apostle Santiago. 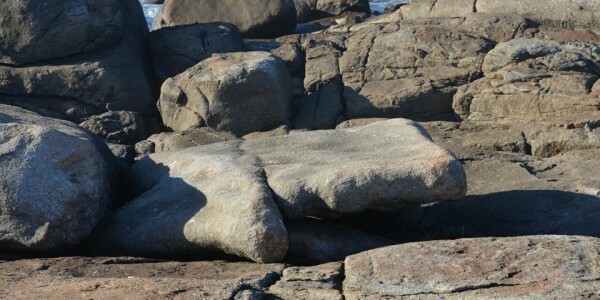 Thus these stones will become part of the boat where the Virgin arrived. 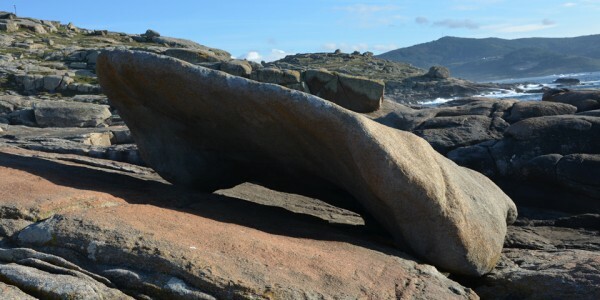 The Abalar stone became the boat and the one of Os Cadrís the sail. 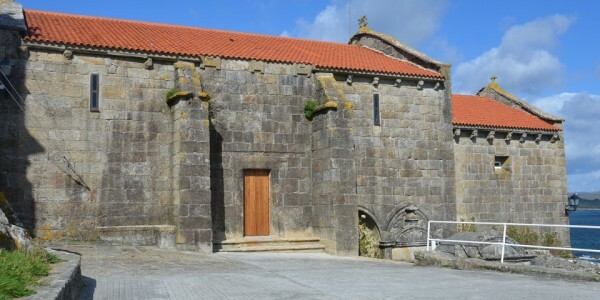 In the urban center we should not stop visiting the parish church of Santa María, a church with a gothic sailor style, with similar traces to Santa María da Atalaia of Laxe or Santa María das Areas of Fisterra. 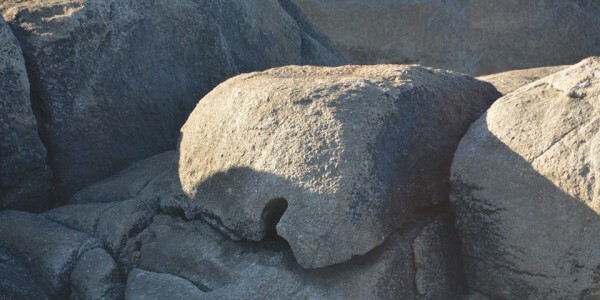 In the area of O Coído you can find the congrio airdryers, the only one that is conserved in Galicia and Spain. In it, we can see the process of drying this fish. 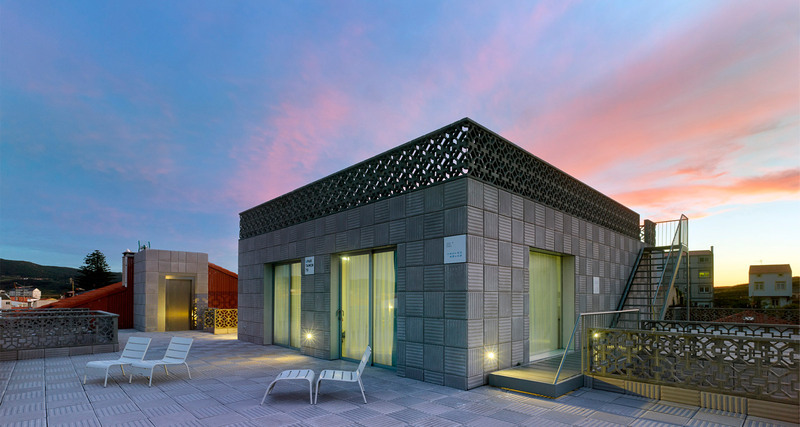 In a private home in Matadero Street, is located a small museum which includes the artwork of the photographer Ramón Caamaño Bentín (1908-2007) from Muxia. A bit more to the south, in the square of the A Camposa, in the Building of Multiple services, we can contemplate the permanent exhibition of the Prestige catastrophe. 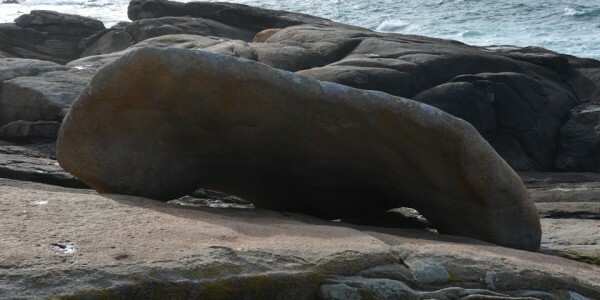 Outside the urban center we recommend visiting Moraime, historic center of great interest. Here the remains of a Roman mansion and a Visigoth necropolis was found. 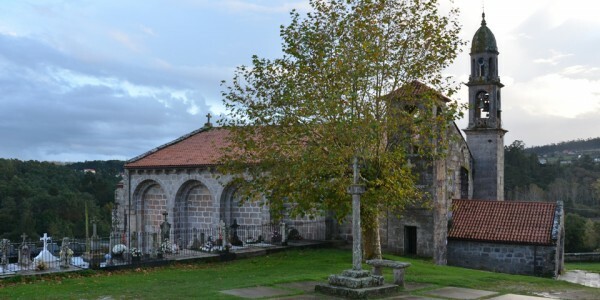 The monastery of San Xulián was then founded and thus became the most important Christian center of the Costa da Morte. To this period we have as a vestige the magnificent Romanic church, which preserves wall paintings in its interior of the sixteenth century. Next to the church is the former rectoral, a magnificent building of the eighteenth century restored to dedicated to rural tourism. In San Martiño de Ozón there was another Benedictine monastery from which part of the Romanic church and cloister is preserved. In the early eighteenth century the grandiose rectoral house was built and years later the extended barn with 22 pairs of feet. 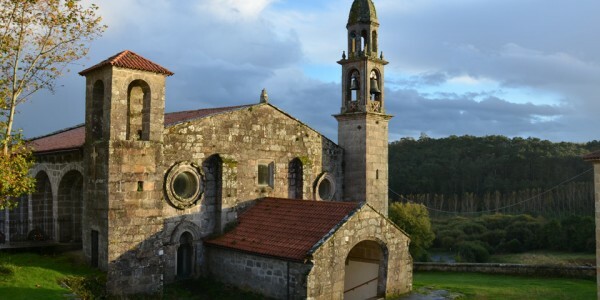 Within the municipality we have other churches that maintain part of its Romanic structure like that of San Pedro de Leis, Santa María de Morquintián, Santa Locaia de Frixe or San Cristovo de Nemiña. 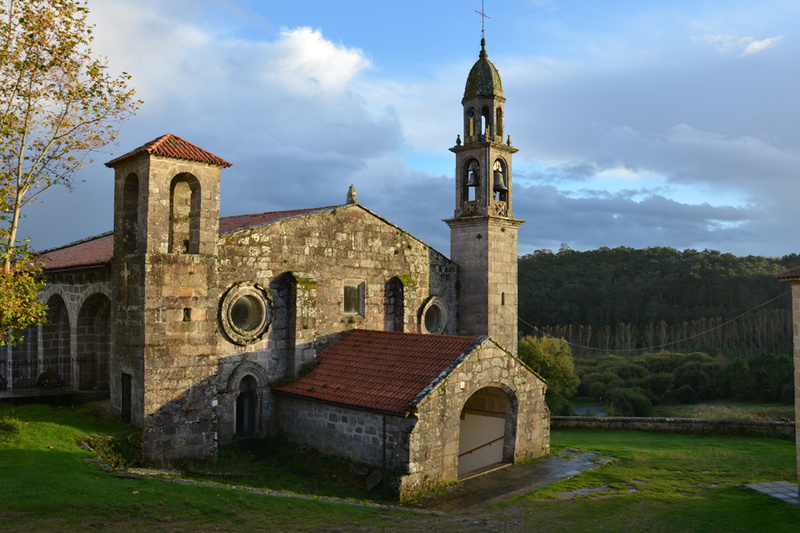 One of the most enchanting places in the inlands of Muxia is As Caldeiras do Castro, located at the parish of Coucieiro. Here the river Castro flows through a granite area and formed rapids and waterfalls, which led to the creation of pylons or giant pots, known locally as Caldeiras. 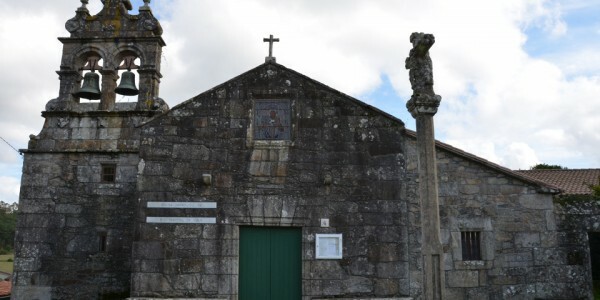 In its surroundings you will find the chapel of Santo Outelo and a lovely cross, both from the XVII century. 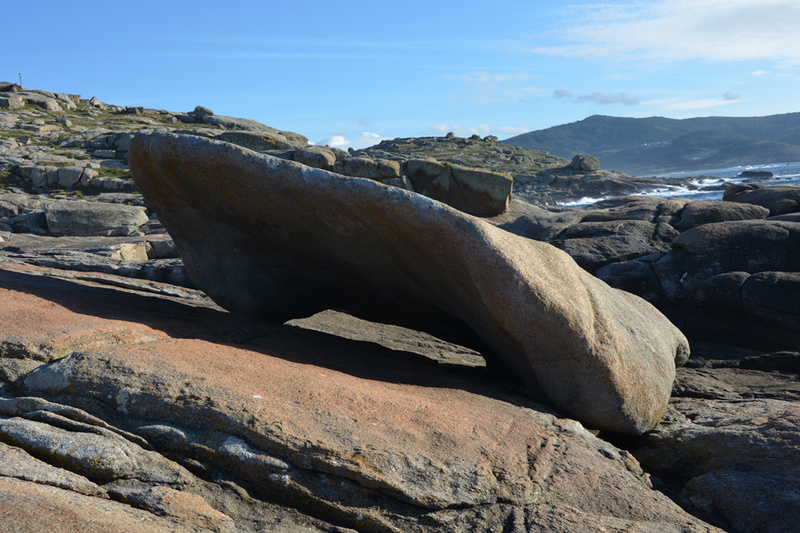 Another landmark of the Muxía municipality is the Touriñán Cape, the most western tip of the Galician and Spanish mainland. 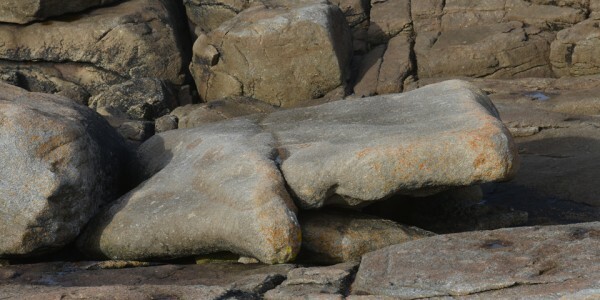 This is a long peninsula that ends in outstanding cliffs, where the sea beats hard. Here nature imposes to humans. On the west side of the cape is the lighthouse, dating from 1898. Currently it was replaced by a concrete tower built in 1981.